Welcome! Thank you for visiting our website. You are here for a reason, To find the right firearms training school. We not only are very passionate about shooting but about teaching new students who want to learn or intermediate students who want to learn how to defend themselves with a firearm if the need arises. The best form of education is hands on and practice, something you can not get from videos. We do not promote online courses for firearm safety. All our classes are taught in small comfortable setting and surrounding. We focus on safety first and foremost. When we show proficiency in safety, we move on to practical exercises and start handling the firearm. All students work with Laser training pistols and in pairs using TPI(total personal involvement) We will work on grip, sight alignment, sight picture, and keep it fun by using laser targets. Our classes are designed for a person who has never fired a gun or someone who is slightly nervous about guns. I strive to raise your confidence level to a point that you did not think was possible. Class curriculum also firearms safeguard, cleaning and shooting qualification course. We also offer classes in Home Firearm Safety, Rifle and Shotgun Safety classes. We have a Personal Protection Class which teaches you how to develop a plan in the event of a home invasion. 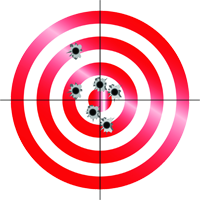 This is not just another shooting class where you shoot at paper targets. We teach you how to respond instinctively to protecting you and your family. NRA Home Firearm Safety Course – Non-shooting course and teaches students the basic knowledge, skills, and to explain the attitude necessary for the safe handling and storage of firearms and ammunition in the home. NRA Basic Pistol Shooting Course Phase 2 – Teaches the basic knowledge, skills, and attitude for owning and operating a pistol safely. Pistol Safety and Orientation – Firearm Instruction, Responsibility, and Safety Training — is the NRA’s response to the American public’s need for a firearm orientation program for new purchasers. NRA Basic Personal Protection In The Home Course – Teaches the basic knowledge, skills, and attitude essential to the safe and efficient use of a handgun for protection of self and family, and to provide information on the law-abiding individual’s right to self-defense. Conceal Carry Class This course teaches all the basic safety points,along with skills ( malfunctions & immediate action drills). We will go over the use of force in Va. Carrying concealed along with being a responsible firearm owner. “Ladies Only” classes–This class is for “Ladies only” Learn the fundamentals in a relaxed atmosphere, with either old friends or new friends with the same results. ” To be prepared, and feel confident in your training.” Most women bring a friend and learn together as we use the buddy system. NRA First Step Rifle is designed to provide a hands-on introduction to the safe handling and proper orientation to one specific rifle action type for classes of 8-10 students. We will focus on America’s most popular rifle The Modern day Sport rifle, The AR 15. Students will learn the NRA’s rules for safe gun handling; the particular rifle model parts and operation; ammunition; shooting fundamentals.